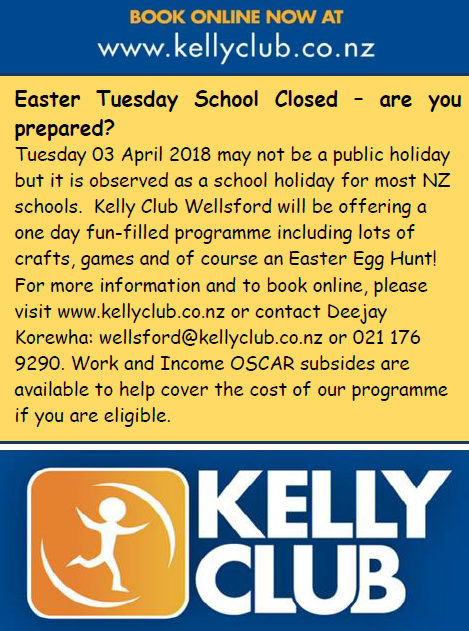 Kelly Club is excited to be coming to Wellsford School from Term 2 2016 to run our after school care programme. At Kelly Club we provide quality childcare in safe and fun surroundings. Our friendly staff are passionate about working with children and are comprehensively training on behaviour management techniques, first aid and activity planning/delivery. Our Programmes are focused around sports, cooking, art and craft activities as well as structured ‘free-time’ after a busy day at school. These activities will be incorporated into themed subjects each week that give children the opportunity to extend their learning outside of the school classroom. 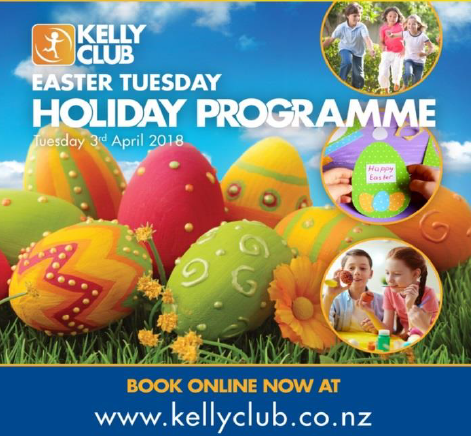 All Kelly Club programmes are MSD approved and WINZ subsidies will apply. We are looking for fun, friendly and competent team members to work on our Aftercare and Holiday Programmes in Wellsford Primary. Hours of work will depend on the specific role and can vary between 3 to 10 hours per week during the term time and 5 to 20 hours per week during school holiday periods. 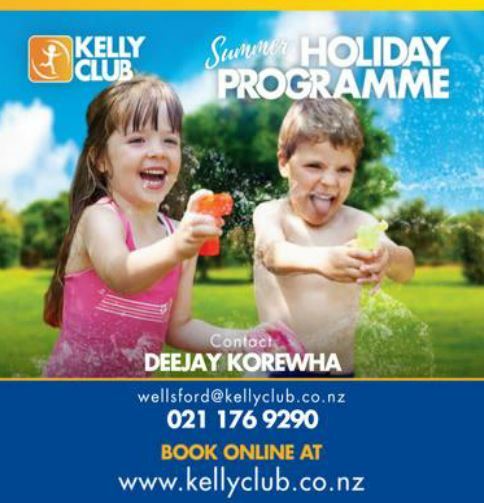 For more information please email your CV to wellsford@kellyclub.co.nz or phone 021 614107.